Trade shows offer an important opportunity for financial services companies to meet with clients and prospects, explore vendors, network with peers and create relationships with media. In today's competitive marketplace, attending, exhibiting and speaking at conferences is an important step to branding, creating awareness and maintaining a competitive edge. To help keep track of key events in 2019, William Mills Agency has compiled a detailed listing of trade shows by industry sectors. 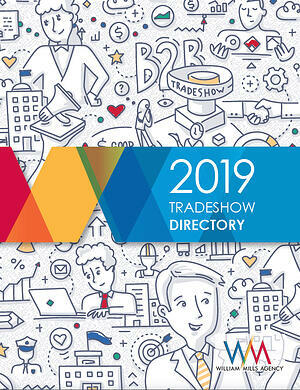 Our 2019 Financial Trade Show Directory provides all the information you need to plan your year in a user-friendly format with hyperlinks to key event information.